MIGHTY OAKS IS DEDICATED TO THE HEALTH AND WELL BEING OF THE ELDERLY SO THEY CAN LIVE WITH DIGNITY, PURPOSE, HOPE AND LOVE. Connecting young and old benefits both. Our Anchor Children with Elderly (ACE) Community Programs build social connections between students and the elderly. 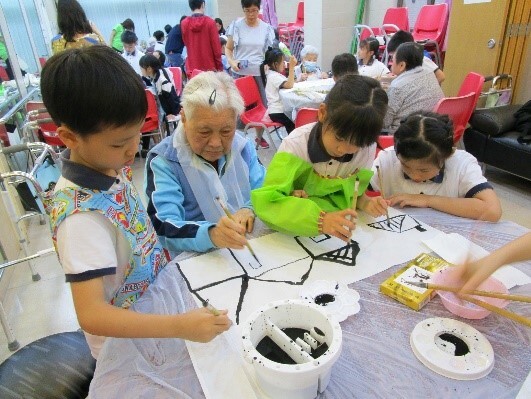 Our vision is that every school in Hong Kong supports one elder facility in their vicinity. We aim to strengthen community bonds through social, recreational and educational intergenerational enrichment. Through our various ACE Community Programs, elders are excited to see the world anew, from a younger perspective. They welcome meaningful and productive activity and engagement. This encourages lifelong learning and promotes emotional satisfaction and purpose. The students learn empathy, patience, tolerance and social skills. They learn to look beyond ageist stereotypes, becoming comfortable with ageing. This widens their horizons. They realize that older people still have a lot to offer. We operate three ACE Community Programs: ACE Academy, ACE Clubs and ACE Arts. The ACE Academy Programs are hosted by Mighty Oaks and connect schools with elder care facilities. Each student learns regularly with an elder partner in a fun, interactive and relaxed environment. The joint lessons focus on art, music or horticulture. ACE Academy differs from other intergenerational programs in that it is regular, relationship building and offers educational enrichment with explicit objectives and outcomes. Our instructors are experienced educators focused on generating quality intergenerational learning results. The ACE Clubs intergenerational learning programs are hosted by schools and are student/school-led, reinforcing the educational curriculum and contributing to student learning. Students share in decision making and are empowered to develop creative ways to engage regularly with the elderly. Mighty Oaks matches schools with elder facility partners, and provides guidance on identifying program objectives and on designing, implementing and evaluating programs, incorporating the needs of the elderly. Training is provided by Mighty Oaks and public exhibitions of project outcomes are organised. Promoting understanding and respect for the elderly through creative expression. 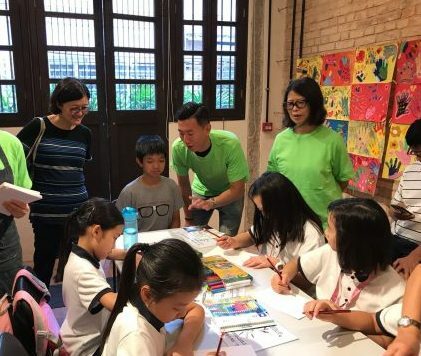 participating students create unique artwork with a personal message for the elderly. Finalists showcase their artwork and explain the inspiration behind their creations. 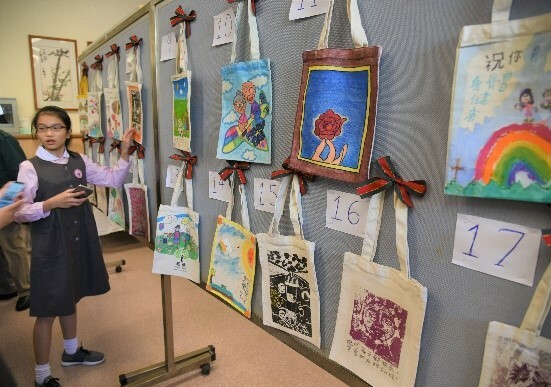 students visit and present their artwork personally to elderly in their vicinity. Through this competition, we encourage elder appreciation in secondary schools, aimed at celebrating older persons and their contributions and passing this legacy to future generations. Entrants are judged on the photo submission as well as on their reflection, highlighting the inspiration behind the photograph. The power and beauty of intergenerational relationships in our community is captured. Powerful visual outcomes are developed to celebrate the impact and benefits of strengthening intergenerational relationships. As the old Chinese saying goes, “extend your respect for your aged parents to all the aged, and extend your love for your own children to all children.” （老吾老以及人之老，幼吾幼以及人之幼）We encourage a deeper commitment to intergenerational connections so this becomes a part of our daily lives and the social fabric of our community. 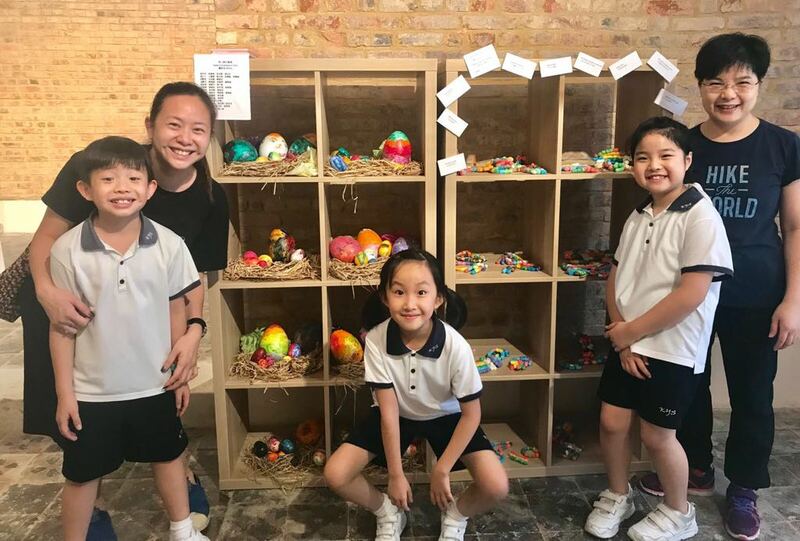 If you are a school or an elder care facility, a volunteer or an educator and are interested to join our ACE Community programs, please contact us NOW. For more information on the benefits of our ACE Community Intergenerational Programs, please see here. For some feedback from participants, please see here. Introducing the ACE Centre, owned and operated by Mighty Oaks Foundation, to promote intergenerational learning within family units. ACE stands for Anchor Children with Elderly. How is the ACE Centre distinctive? 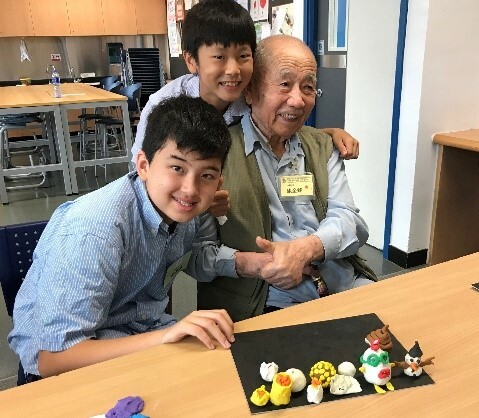 Learning Approach: students learn with parents/grandparents because families who learn together thrive, as family bonds are strengthened and enriched. Learning Content: art, language and music classes for 3-12 year olds, taught by experienced instructors in small classes. Learning Environment: beautifully renovated heritage site in Sai Ying Pun. 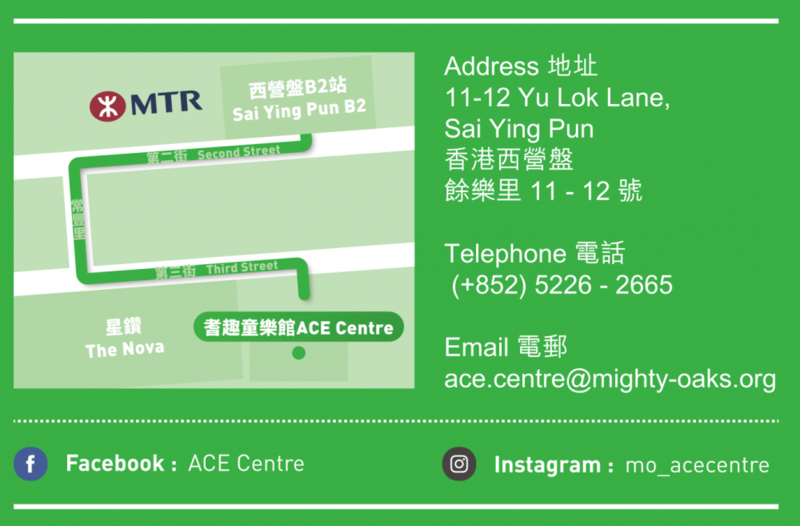 The ACE Centre is situated at the Heritage Preservation & Revitalization project in Sai Ying Pun, a 3-minute walk from Sai Ying Pun MTR station (please see here.) 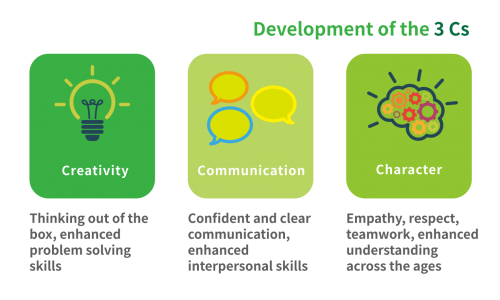 Our classes are aimed at development of the 3Cs – Creativity, Communication and Character. The ACE Centre also hosts community events to promote intergenerational engagement through fun activities. All surplus from the ACE Centre will be used to support Mighty Oaks’ charitable work for the elderly. Mighty Oaks operates several ACE community intergenerational learning programs (please see here), provided free of charge, to benefit both elderly and students. For details of the classes we offer, please click here. For details of future community events, please click here. How do families benefit through learning together? Please click here. Hong Kong is getting older and more of our population will experience swallowing problems. Like breathing, swallowing is essential to everyday life. Eating and drinking should be enjoyable. Dysphagia refers to swallowing difficulties and is closely associated with conditions such as stroke, cancer, Parkinson’s disease and dementia. If dysphagia is not diagnosed or managed well, aspiration of food or liquids into the lungs is a daily danger. Dehydration, malnutrition or pneumonia may subsequently develop. Swallowing problems are best managed by a team of health professionals, including a speech therapist, dietician and doctor, in consultation with the person and their family and carers. With a swallowing assessment, dysphagia can be diagnosed in a timely manner and advice on appropriate food and liquids can be given. People who are put on a feeding tube become increasingly immobile. The insertion of a feeding tube is also painful so some persons on feeding tubes need to be restrained. Mighty Oaks is working with the Hong Kong Dysphagia Concern Group and other organisations to address swallowing problems. We help by building capacity, training caregivers for the elderly in private and subvented elderly homes, family caregivers and domestic helpers. Since dysphagia is under recognised, we run various programs to raise awareness of the importance of swallowing safely and share available resources to address this. Another goal is policy change. Speech therapists are experts in the management of swallowing disorders and we hope that more support can be given to the hiring of speech therapists in elderly homes and in our community. The goal is to help those with swallowing problems to maintain adequate hydration and nourishment whilst encouraging food enjoyment and safe swallowing. This increases independence, participation in society and quality of life. It also frees caregivers to become more productive. FAQs on dysphagia management, please see here. Early identification of dysphagia, please see here. Assisting someone to eat, please see here. Useful posters and leaflets on swallowing problem, please see here. Please contact us NOW and join us. We provide compassionate care and high quality surgery for cataract affected disadvantaged patients, helping to drain an ocean of need, one eye at a time. Witnessing so much unmitigated joy never loses its power. 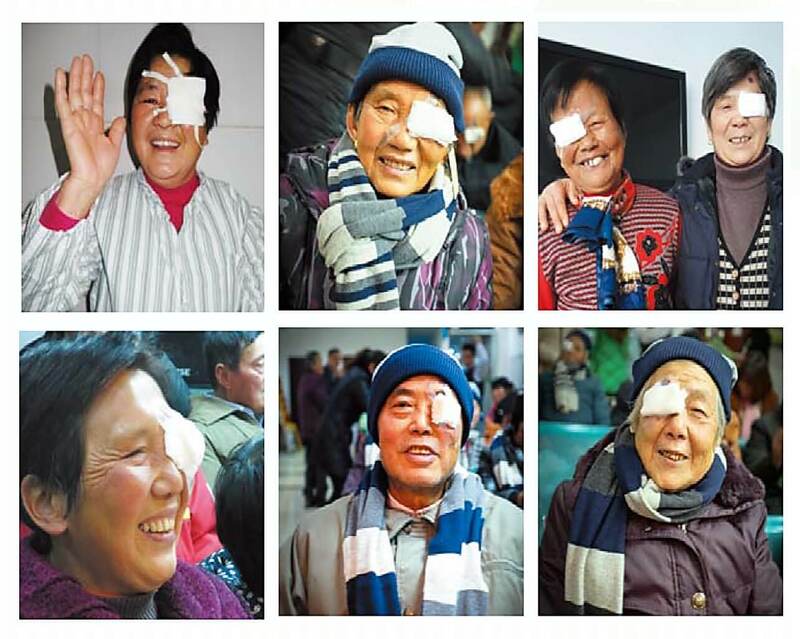 There are 7m blind people in China and 50% of these suffer from cataract problems. 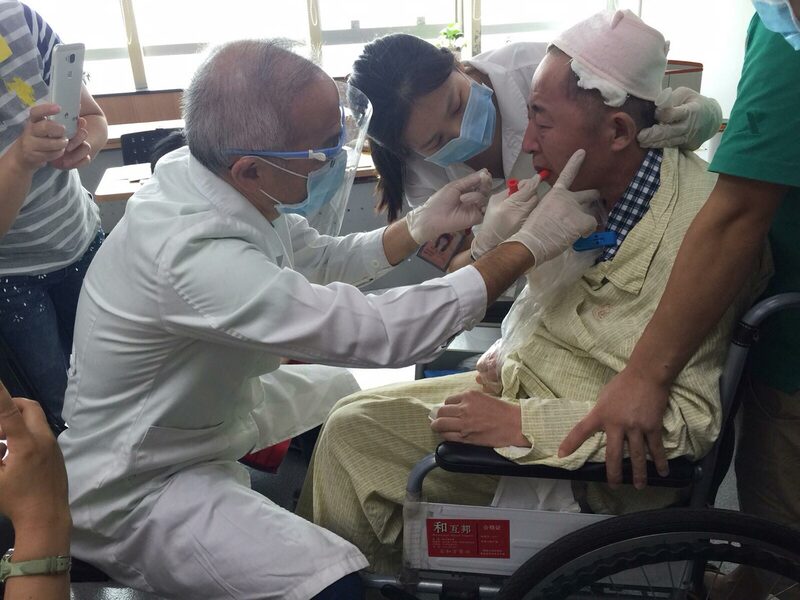 80% of China’s blind live in rural China but 75% of the eye doctors live in urban areas. 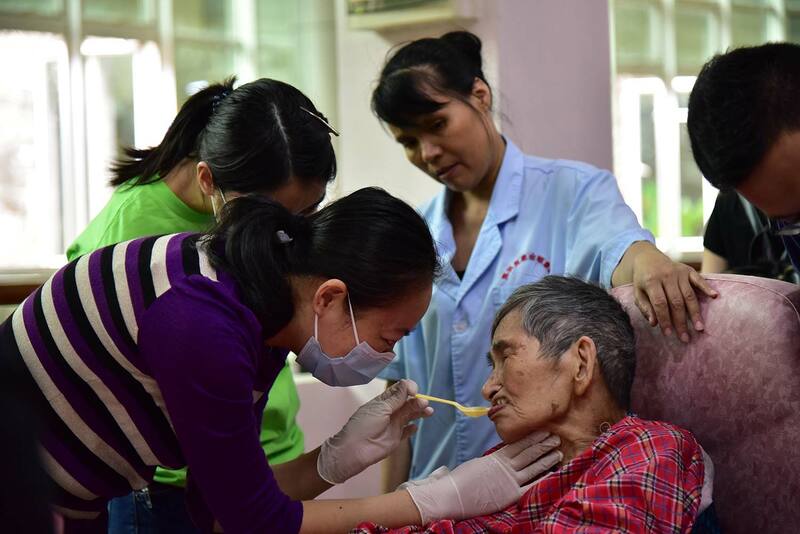 In China, raising awareness that cataracts can be addressed through surgery is a challenge. Also, the cost of surgery can be prohibitive for many rural patients. We have hosted eye camps for cataract surgery, in collaboration with credible and competent county hospitals. Our volunteer ophthalmologists, optometrists and nurses attend to all technical aspects of the eye camp, with support from our partner hospitals. The value of a cataract operation is enormous: a person can go from being totally dependent to being able to work and care for their family again. This also allows those caring for our patients to return to work and achieve fuller productivity. 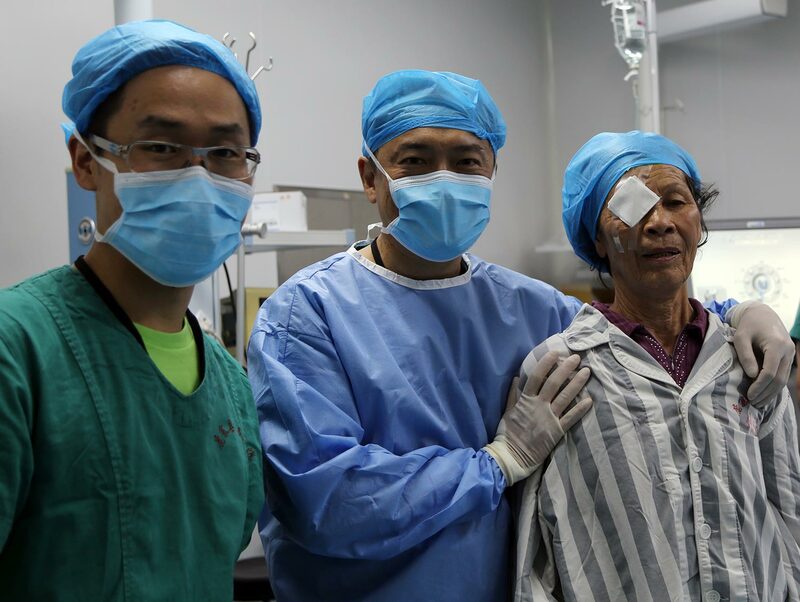 You can help to provide second sight to the under-served and vulnerable by sponsoring an eye camp or purchasing some supplies for use in surgery. For more, please see here. For FAQs on cataract surgery please see here.